Created after noticing clients that prefer to have their prep room floor clear. The wall-mount rack will enable the accessible use of the System5® material without having any device touching the floor. The sophisticated BioSeal System5® material provides the highest level of containment (BSL-4) for all dangerous gases and fluids associated with the transport, handling and storage of biohazardous materials in the death care industry. 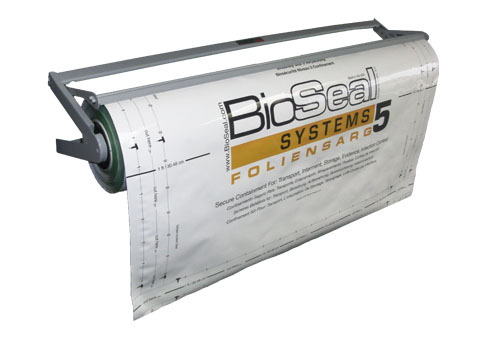 "I've been in this business for over 25 years and, in my opinion, the BioSeal Systems solution is one of the most important innovations we've seen in this industry. This technology has been a boon for my business and a blessing for my customers."